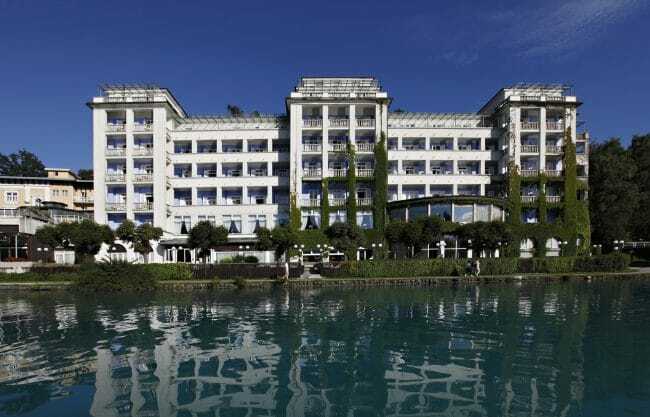 The Grand Hotel Toplice, member of Small Luxury Hotels, is located on the shore of the Lake Bled overlooking the small island of Otok with its fairy-tale church and the Bled Castle with the Julian Alps in the background. 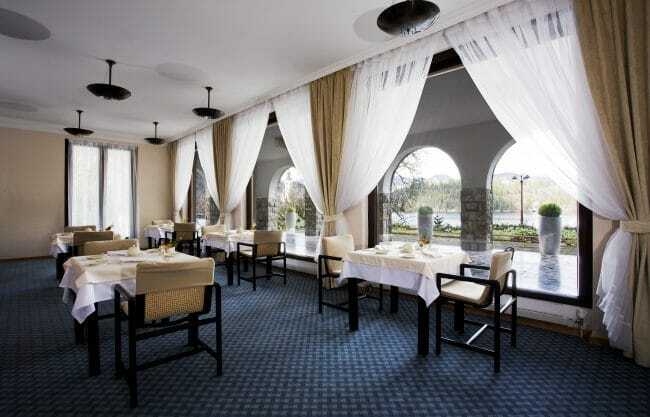 The hotel’s Grand Restaurant is situated directly by the lake shore and features a covered terrace while the smaller intimate Julijana Restaurant is also open to non-hotel guests. There are two bars at the hotel. The semi-circular Lake Lounge is ideal for cocktails or afternoon tea and features live piano music in the evenings. The Lake Bar, situated on the chestnut-shaded terrace by the lake, is only open in the summer. The hotel wellness center features an indoor swimming pool filled by a thermal water spring. 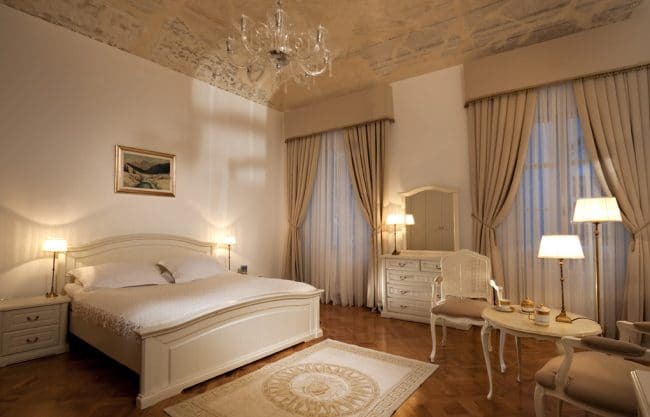 The rooms and suites at the Grand Hotel Toplice have traditional decor with beautiful parquet floors, rich furniture, and paintings on the walls. 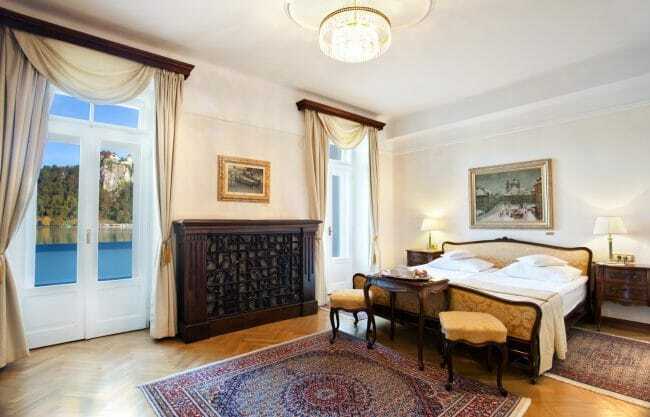 Many of the rooms and all suites have lake views and all have private balconies. 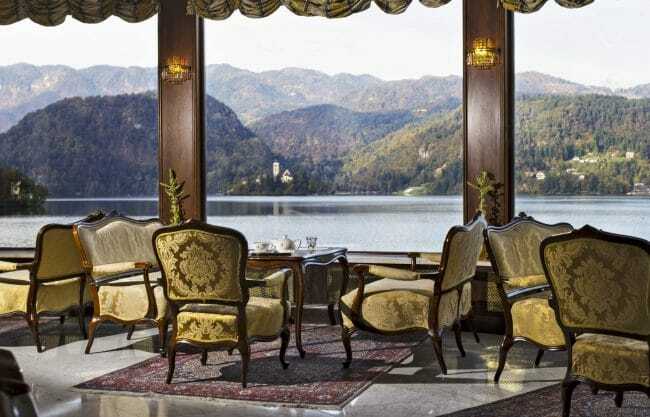 Our preferred choice is the Lake View Rooms with their balconies with marvelous views of the Bled Lake, the Castle and the Island. 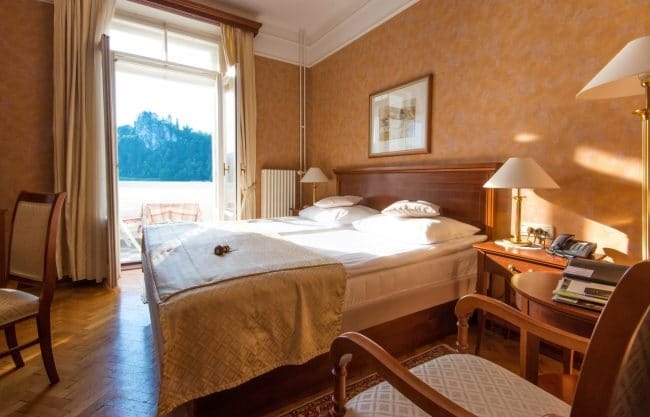 Set in a magnificent park on the shores of the lake, the Vila Bled is only a 20-minute lakeside stroll from the town center. 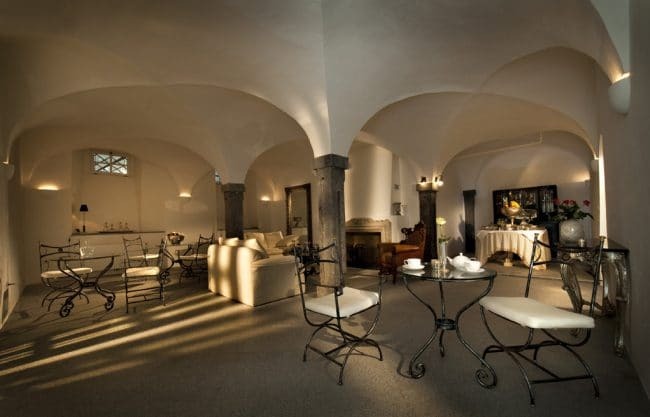 The exquisite charm of the villa arises from its elegant and spacious marble interior, wooden floors, and artwork, characteristic of a bygone era. The Austrian Prince Windisch-Graetz built a beautiful mansion on the site of the present villa when the region was part of the Austro-Hungarian Empire. 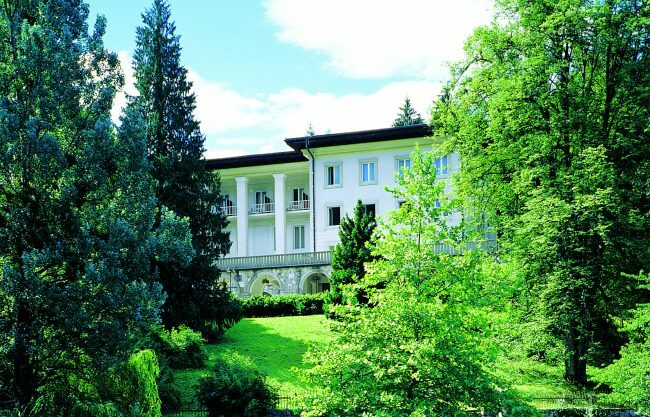 Subsequently, as Bled developed into a cosmopolitan resort for the European elite, the mansion served as a summer residence of the former Yugoslav royal family from 1920. 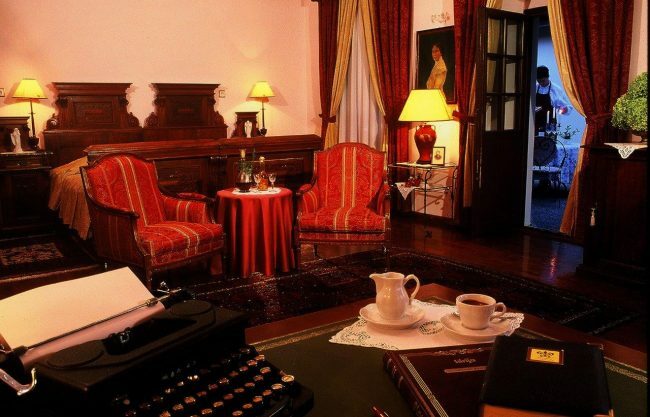 After the Second World War, the villa was rebuilt into a presidential residence of Marshal Tito, where he hosted many important international statesmen. 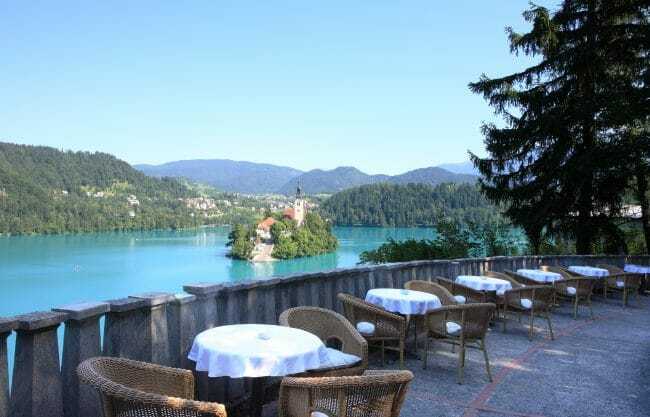 We like the Lake View Rooms which are decorated in traditional style reminiscent of the 1950s and have balconies with wonderful views of the Lake Bled and its island with the 17th-century church with the Julian Alps as the backdrop. 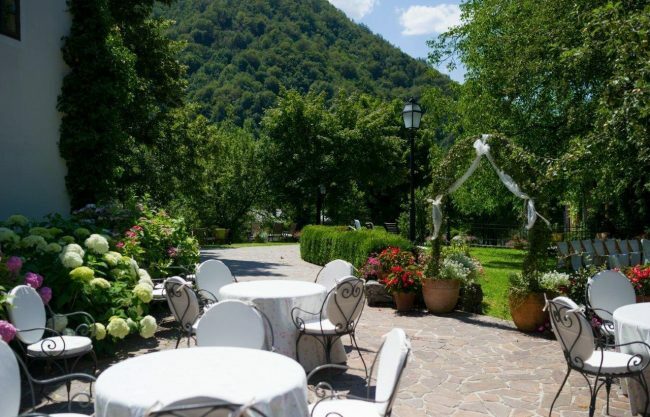 The Kendov Dvorec hotel is housed in a former mansion which once belonged to the influential Kenda family and has now been beautifully restored to include individually-designed rooms, charming dining rooms and public areas, and summer gardens with great views over the surrounding countryside. 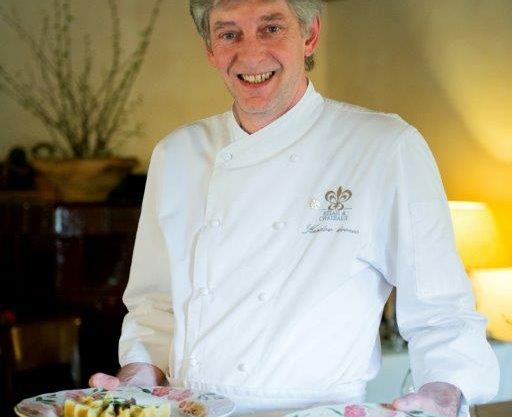 The common areas on the ground floor include the Black Kitchen - a typical 19th-century kitchen with an open fire, the Great Room with its inviting country oven, and the Small Room – a small nook which is perfect for an intimate meeting or dinner. 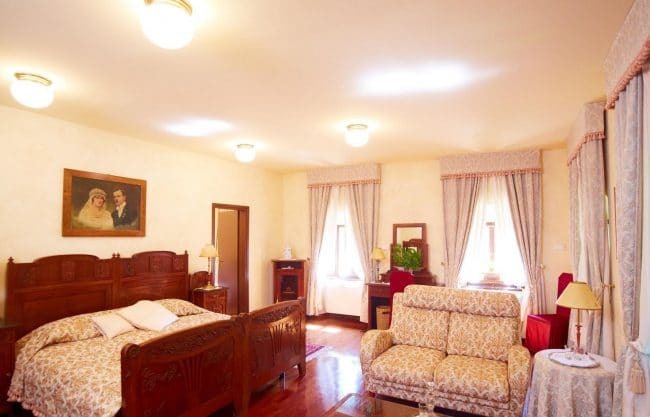 The hotel offers 11 comfortable rooms, each of which is individually-designed and features 19th-century antique furniture and original handmade local lacework. The rooms are named after the former members of the Kenda family. 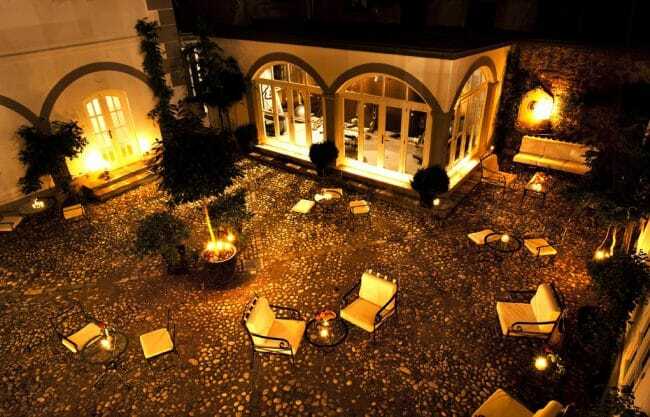 The Kendov Dvorec has been a member of the prestigious Relais & Chateaux Hotel Association since 2000. 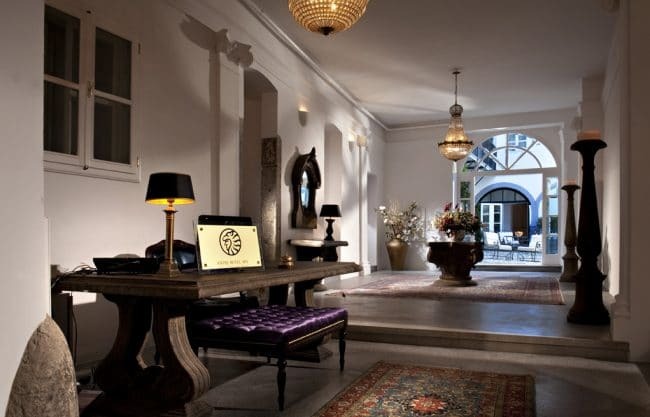 Housed in the former residence of a local noble family from the 16th century, the boutique Antiq Palace Hotel is located in the heart of the Old Town and only has 18 individually designed rooms and suites. 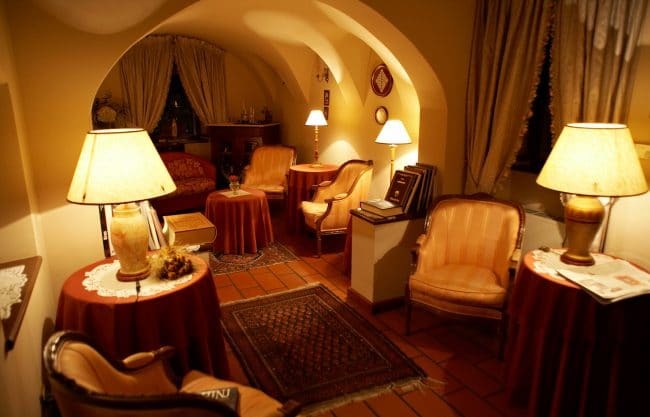 Many of the city’s famous landmarks – the Ljubljana castle, the Ljubljanica River, the Presernov Square, several of Joze Plecnik’s architectural masterpieces, and an array of cafes, restaurants, and boutique stores are all just a short walk from the Antiq Palace. 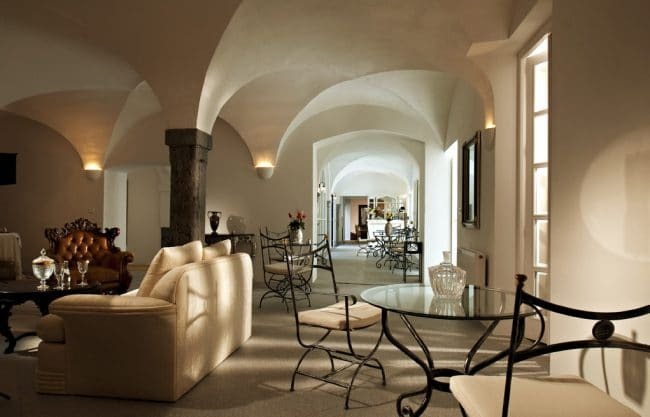 We like the bright and spacious Residential Suites which feature 800 square feet of space and unique architectural elements - old frescoes and high ceilings. 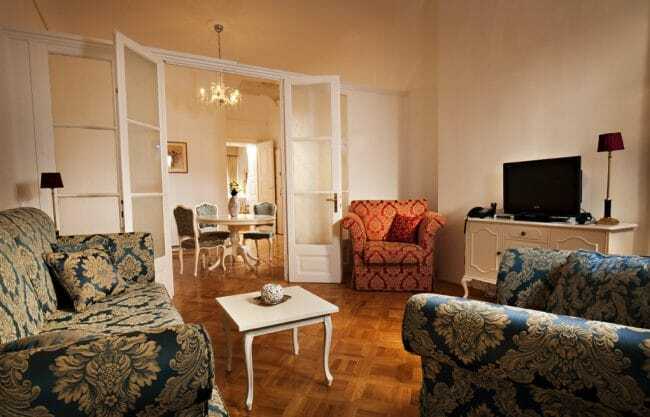 These suites are located on the first 3 floors and have views of either the street or the quiet courtyard. 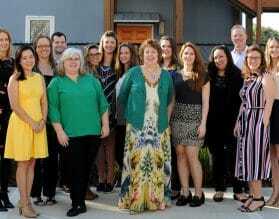 They include a bedroom, a living room, and a fully equipped kitchen, and a dining room.